This is not Le Beau, but he probably looked something like this Italian greyhound from the 1800s. Painting by George Pirie. When William Henry Harrison died in office just a month after his inauguration, John Tyler — dubbed “His Accidency” by his political foes — moved into the White House. The Virginian was the first vice president to be elevated to the highest office of the land by the death of his predecessor. At the time he became the 10th president, Tyler was a widower and he married his second wife, Julia, while in office. The couple surrounded themselves with animals in the mansion. 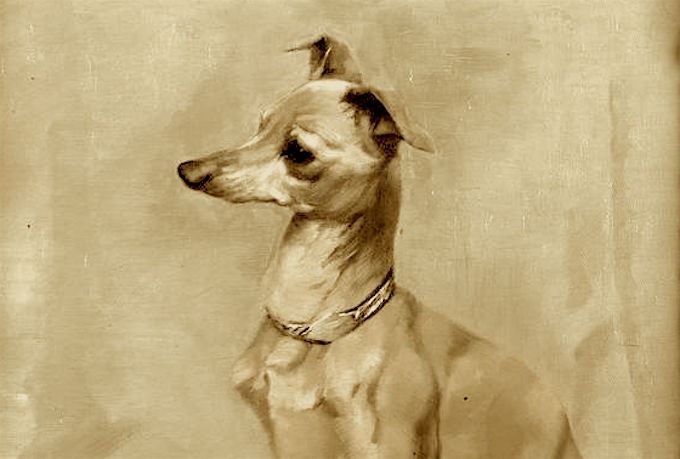 In 1844, Tyler surprised Julia with the gift of an Italian greyhound ordered from the consul of Naples. Did you know other greyhounds lived in the White House?